Having finished up Arkham Knight I was browsing through my PS4 games looking for a new game to play while on my exercise bike and found Tomb Raider! I forgot I even bought the PS4 version. I think I picked it up when it was on super sale the first week I had the system and then promptly forgot about it. 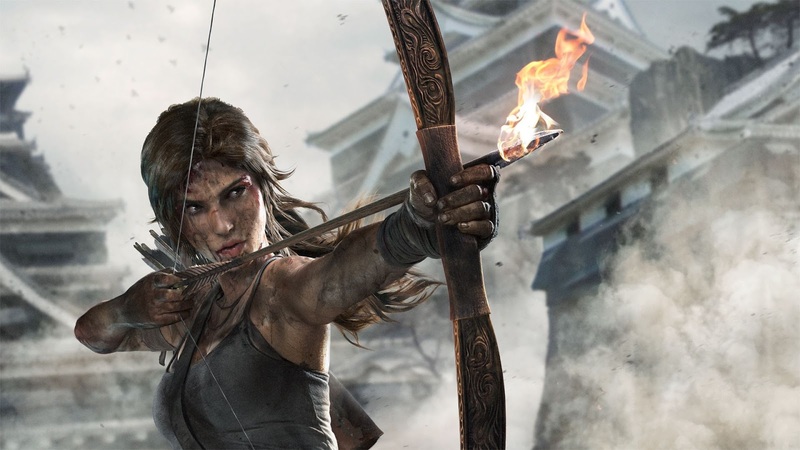 I had played Tomb Raider on PS3 but I never beat it. Hopefully this time I make it further through. It seems like a game where I can make some decent progression every day that I'm exercising on my bike, and it's not too story intensive. That's important because I listen to podcasts and audio books while I exercise. I get annoyed if I have to pause my podcast/audio book and turn up the TV to listen to story too often. I'm actually using subtitles a lot these days for just that reason. Anyway, I hope I stick with it to the end this time. There's some fun gameplay here. I played this on PC and got stuck at one point after getting a fair way through and still haven't been back to it, despite loving both story and gameplay. Maybe I should Google how to move on and get it finished! I don't think I ever got stuck, I just got distracted by newer and shinier games and then forgot to come back. It's a good game though, you should definitely get back to it if you still have interest!